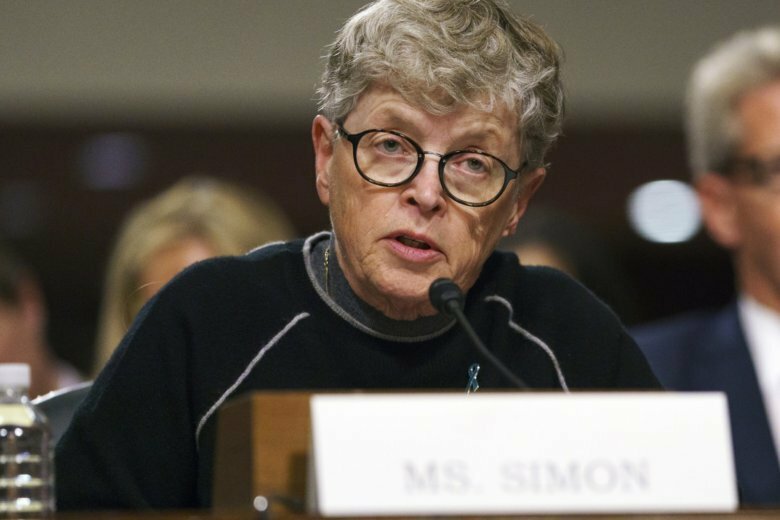 The 71-year-old Simon was charged Tuesday with lying to police in Michigan about a 2014 campus probe of a complaint filed against Nassar by a patient. Her attorney Lee Silver calls the charges “completely baseless” and says there is not a “shred of evidence” to support them. Simon stepped down under pressure in January but remains on faculty. The school says she is taking an unpaid leave of absence. She is the third current or former campus official other than Nassar charged by the Michigan attorney general. Two former USA Gymnastics officials are facing charges in Texas. Simon, who stepped down earlier this year over the scandal, was charged Tuesday with two felonies and two misdemeanors. She is now the fourth person other than Nassar to face criminal charges related to his serial molestation of young female athletes under the guise of treatment. Numerous other people have lost their jobs or been sued. A charging document alleges that Simon told state police that she was aware that in 2014 a university sports doctors was the subject of an investigation, but she did not know it was Nassar. Police says she knew he was under investigation.